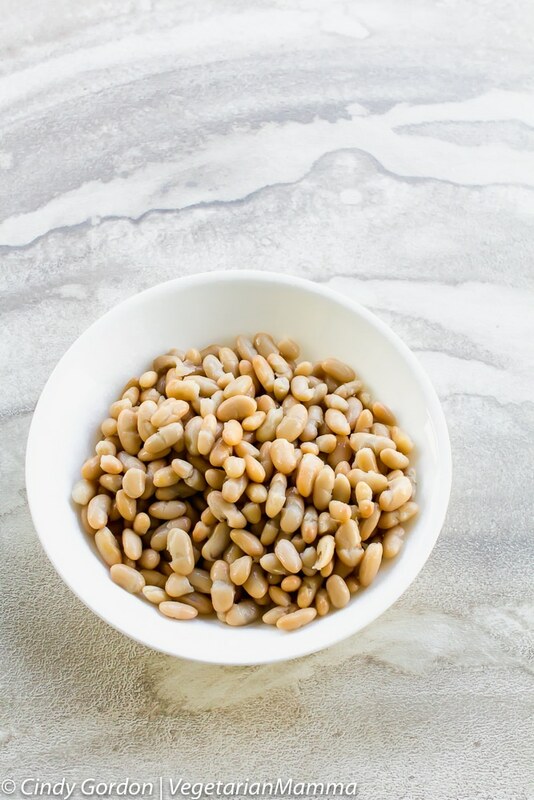 Creamy White Bean Tomato Soup is a rustic filling soup that is easy-to-make and is perfect for any time of the year! 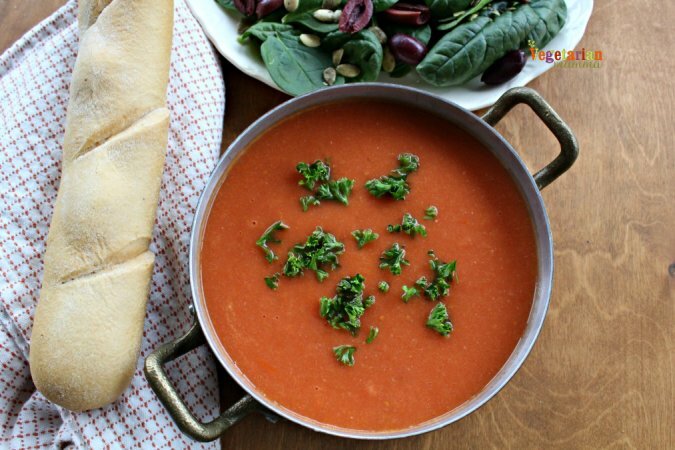 This homemade tomato soup is certain to be a hit! 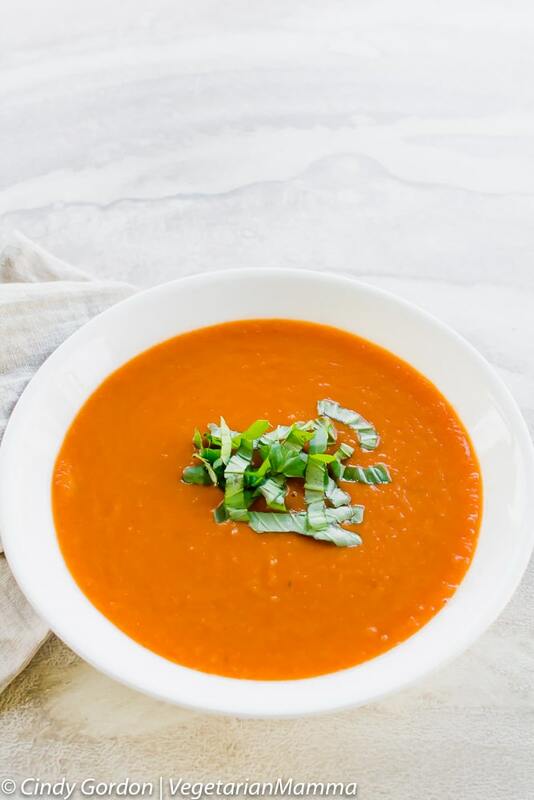 Whether it is the middle of winter and the temps are freezing or you are having a hankering for tomato soup during the heat of summer, this Creamy White Bean Tomato Soup is for you. And don’t worry, this recipe is super duper easy. 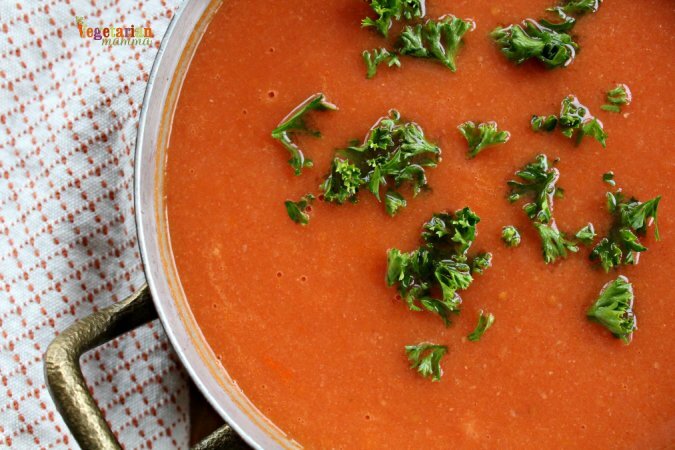 Some people tend to shy away from tomato soup, but this recipe is one that you won’t want to miss. It’s easy, delicious and hearty! 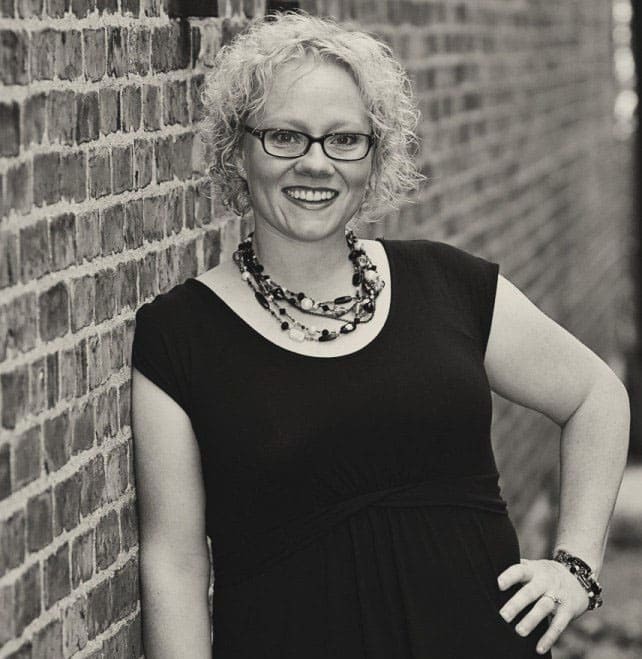 *We recently retook the photos for this recipe. With the years, we’ve gotten a little better at our photography. Same great recipe, brand new photos. 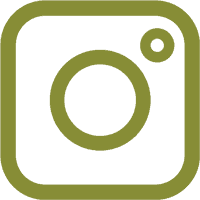 If you want to see the old photos, they are at the end of the post. 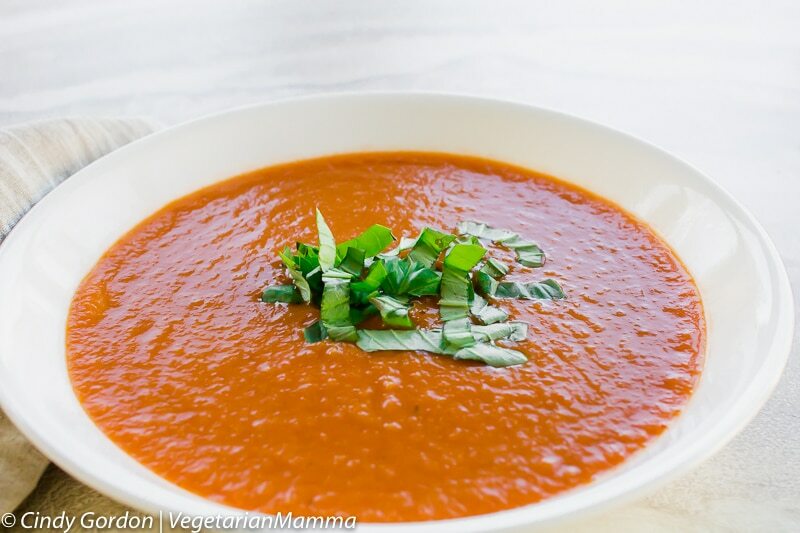 What is the secret ingredient to this White Bean Tomato Soup? 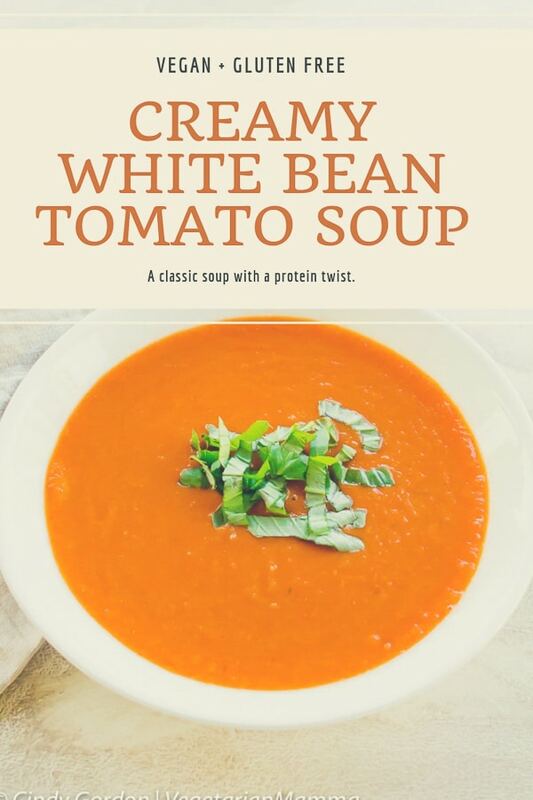 This Creamy White Bean Tomato Soup has a secret ingredient that makes it so creamy and delicious. Can you guess what that secret ingredient is? Beans. White beans to be exact. I know you may have guessed it from the title, so I guess it is not all that secret. But the beans are what makes this delicious soup what it is! 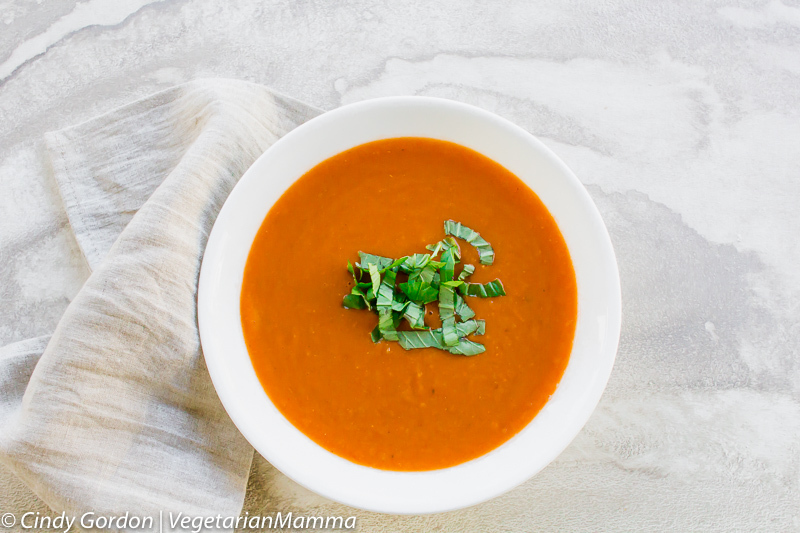 If you love this soup recipe, check out these as well! I’m a sucker for cooking with crushed tomatoes. Sounds odd, right? But just think about it…they have such an amazing texture and flavor that you can literally add them to your medium heat pan and let them either hold their own or simmer down as well. No matter what type of consistency they have, they do a great job at bringing out the flavor! Add in a pinch of salt and voila, it’s like your own little tomato puree. 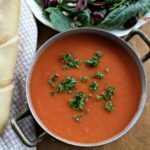 Wondering what to serve with tomato soup? Anything you want! You can’t go wrong with grilled cheese sandwiches or anything bread, really. 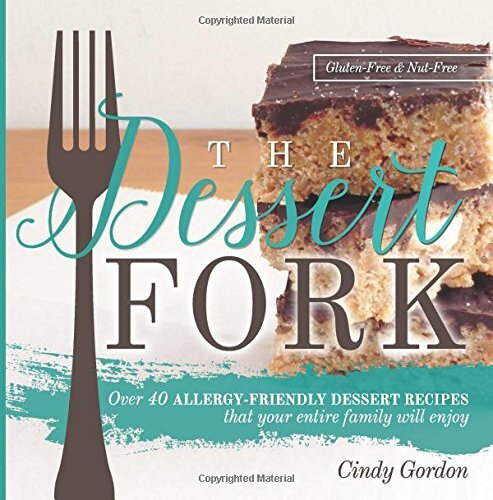 Another great addition would be to serve up with some yummy steamed veggies as well! 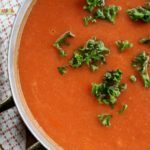 What are some other tomato soup ingredients that you can add? 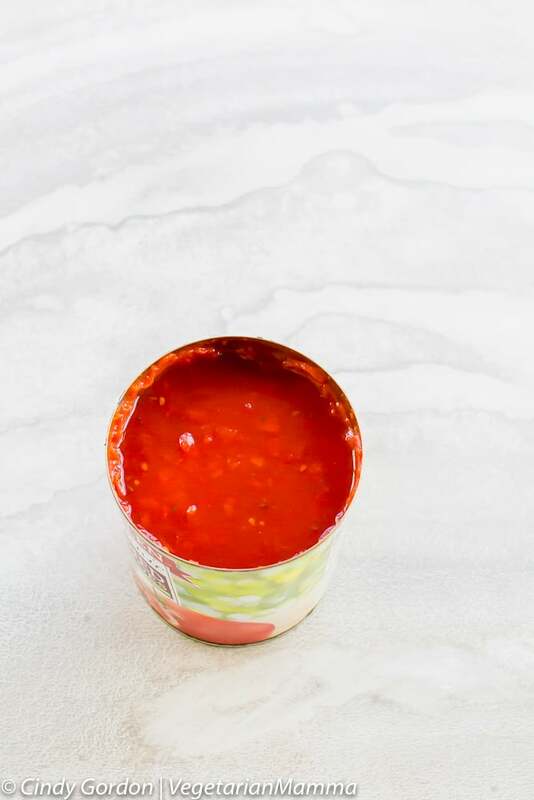 If you wanted to add some sweetness to your quick tomato soup, you could always add in a couple tablespoons of sugar as well or even some heavy cream. Adding in these ingredients will alter the taste and texture of the recipe so make certain that you do your own research on how to add them and when! Should you saute up the garlic before adding to your tomato soup? Again, this is based on preference. If you want to, you can add oil in a large part and add garlic and cook. 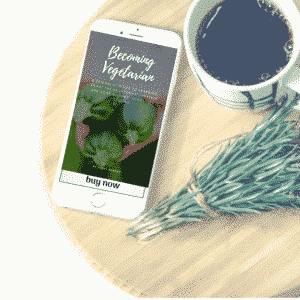 It can help give it a lot more flavor and also soften it as well. This totally depends on what you want your garlic to taste like. Some people add in whole raw garlic and let it cook, while others buy and add in minced garlic as well. It’s entirely up to you! For me, I love garlic but it does not love me back. So I did not include it in the instructions below. It is your choice if you’d like to add it in! 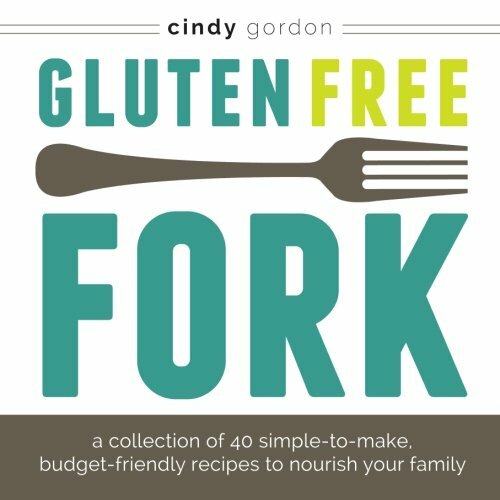 If you love soup as much as I do, make sure to visit the recipe index to find more gluten free soup recipes! Adding some fresh cilantro on top of your soup can also bring a very unique and different flavor as well. Have fun with toppings! 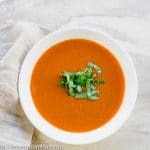 The white beans in this creamy tomato soup give the soup a beautiful texture and they also pack in some extra protein. Added benefits can’t hurt, right? Top the soup with some fresh parsley and you are in business! Love chilled soup? You need to check out this Chilled Watermelon Soup with Coconut Cream by Fearless Dining! I LOVE to have bread to dip into my tomato soup. How about you? Is it a grilled cheese? Crackers? Leave me a comment, I want to know! Over medium heat, warm the oil in a deep pot. When oil is warm, add onions. Saute until onions are soft. Add remaining ingredients, bring to a boil. Reduce heat and simmer for 15 minutes. 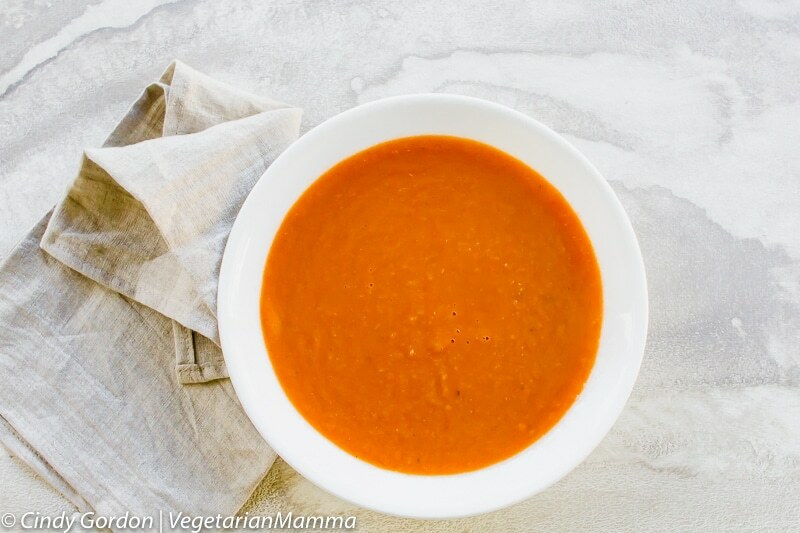 Use a hand blender to smooth the soup or take the soup cup by cup to your blender to make smooth. I enjoy tomato soup, yummy. Why did I never think to add beans to make a soup creamier?! Plus it adds protein. Genius idea! I am stealing it. So few ingredients; all of which I keep in my pantry. I’ll suspend my prejudice against bean soups to give this a try.